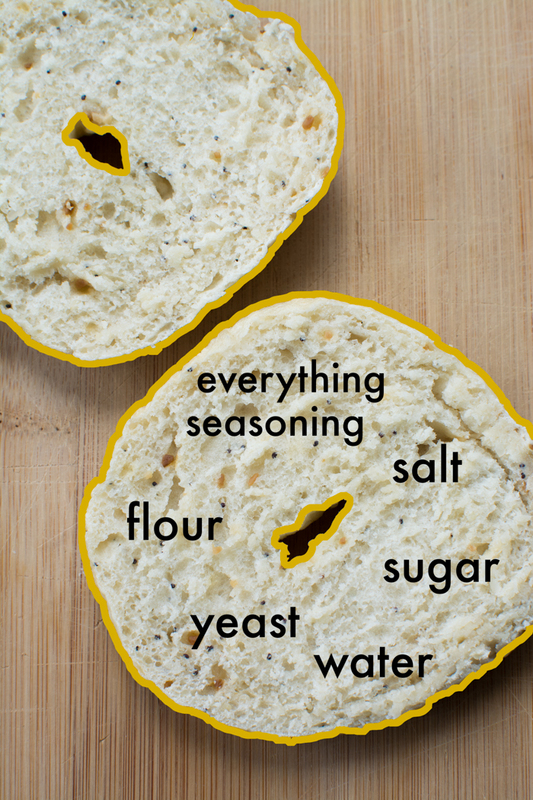 Everything bagels are everything. A chewy delectable ark of savory seasonings and seeds. I love my bagels toasted with a little Earth Balance or homemade vegan cheese. My toaster has a bagel setting that I usually skip, because crispy and chewy are the way to go. 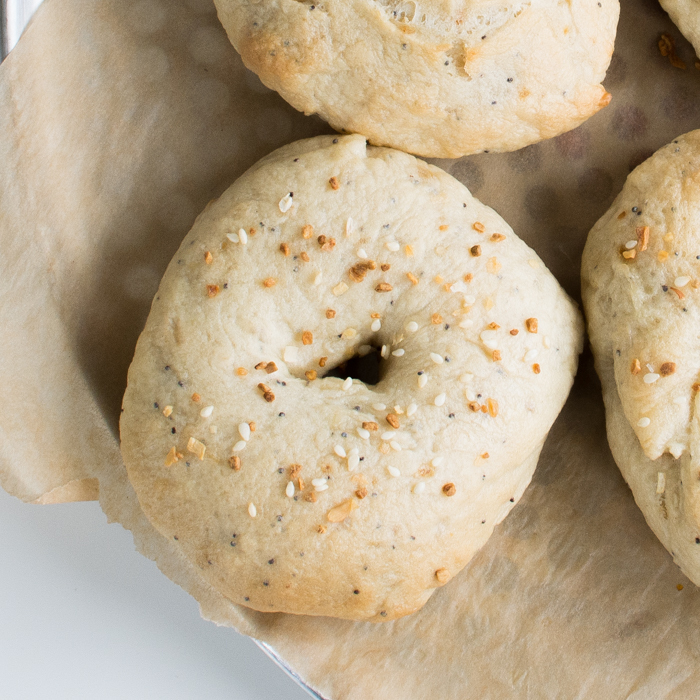 When bagels are around there’s little use for bread. Bagel sandwiches. Toasted bagels with salad. Pizza bagels. Garlic bread bagel with pasta. Let us count the myriad of ways. If you’ve been following along [subscribe for free], you’ll know last Monday I shared the template for all future bagels. They’re pretty easy to make and fulfill all of your carb fantasies using just a few ingredients. I used that recipe and reduced the salt a little, because my Everything Bagel seasoning included salt and the rest is history. A pretty easy transition. 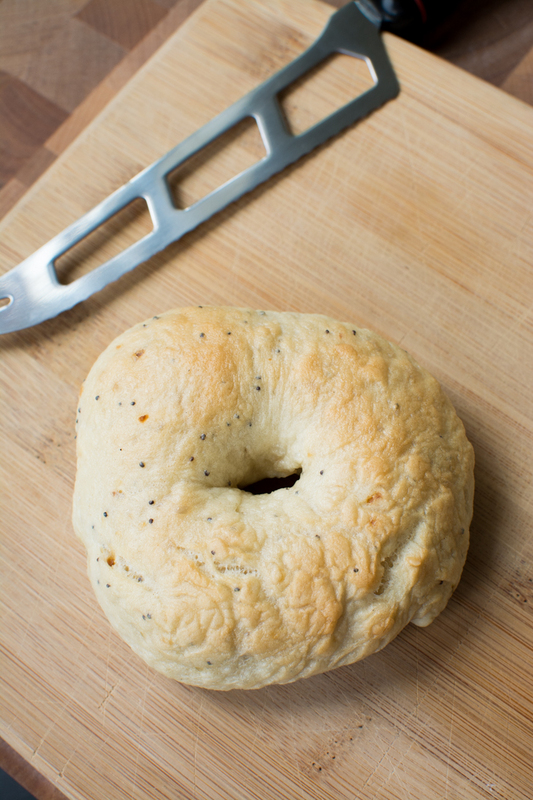 Everything Bagel seasoning typically includes sesame seeds, poppy seeds, minced dried onion, minced dried garlic, and kosher salt. We acquired a large McCormick bottle at Costco a few years ago and have barely used it. It looks like they discontinued that seasoning, but I found this replacement from King Arthur Flour. Or whip up your own. 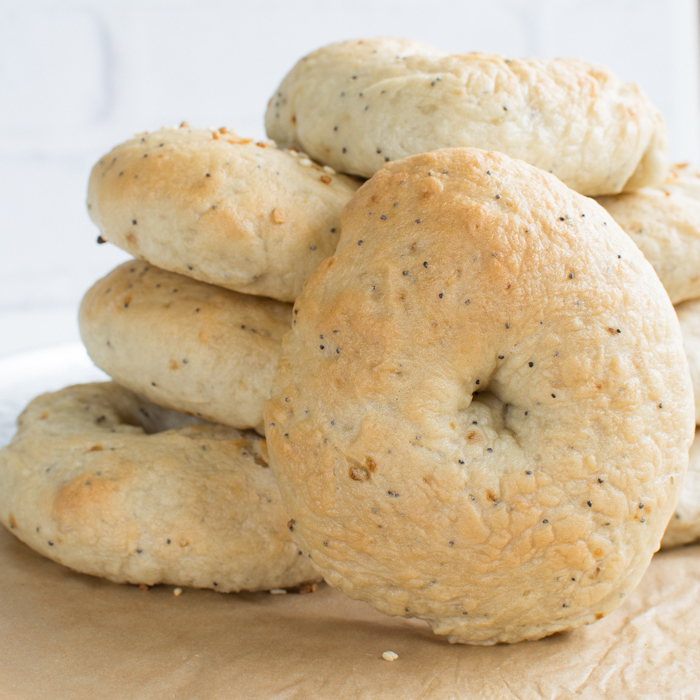 I noticed when looking up the history of bagels—they originated in Poland in the 17th century—that many of the everything bagels look smothered in seasoning. That’s not my preference, but I won’t hold you back. 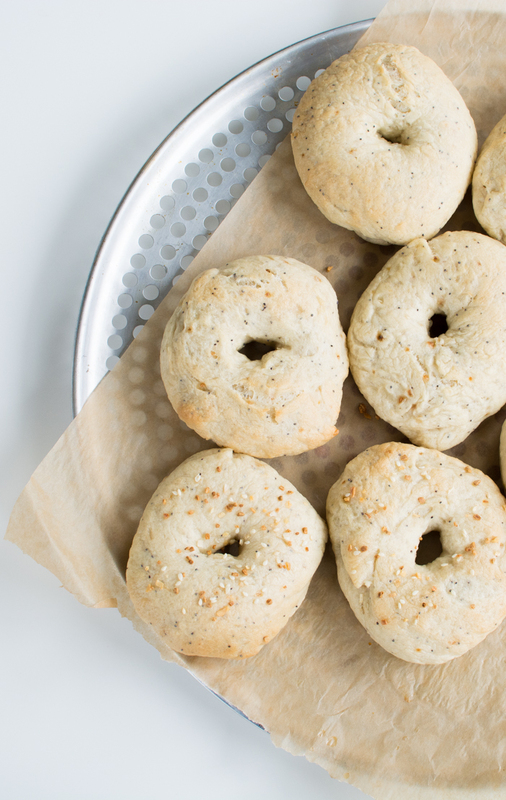 These bagels are savory and flavorful without requiring a mask that separates your mouth from the rest of the world. They’re relatively safe that way. But feel free to coat or smother to your heart’s content. We won’t judge. This time around I experimented with a glaze to see if they browned more during baking. I used about 1 teaspoon of Bee-Free Honey mixed with 1/4 cup of water. They were a little bit darker, but might not be worth the effort unless you’re also sprinkling the tops with additional seasoning. The glaze will also help those flavor bombs adhere. Did you know boiling helps get that chewy exterior and also helps with the browning while baking? Bake on a cookie sheet or pizza pan lined with parchment paper, silpat, or customizable baking sheets. 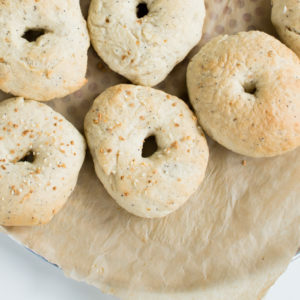 Add flour, everything bagel seasoning, and salt to a food processor fitted with the dough blade (at least 9-cup capacity). When yeast mixture is ready, turn the food processor on and remove the small pusher piece and pour in the yeast mixture while the food processor runs. Let it run until ingredients form one massive dough ball. Turn food processor off and transfer dough to your floured surface. Knead 1-3 minutes, until dough doesn't stick to your fingers. If you would like to coat the tops with additional seasoning brush with sweetened water (1 tsp of Bee-Free Honey/Agave to 1/4 cup water) and sprinkle with seasoning. OMG TJ has an EVERYTHING BAGEL SEASONING?!?!?!?!?! BOOO YA!! I am going to live off of this! I bought some EVERYTHING BAGEL seasoning from a company on line, but buying this stuff in person = SO MUCH EASIER!! Andddddddd I adore sweet potatoes, so this recipe is a WIN WIN WIN!